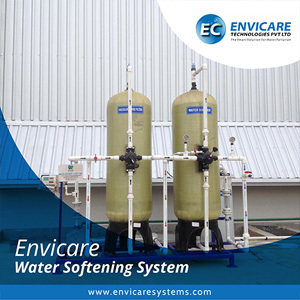 Established in 2001 with an intention of providing solutions for RECYCLING, REFUSING, REDUCING & REUSING Waste Water from various domestic & industrial activities. 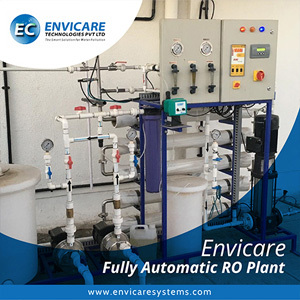 ENVICARE TECHNOLOGIES PVT. LTD. has grown to be a world leading solution provider for water and wastewater treatment with offices in Pune, Malaysia & Dubai. Our team of highly skilled & dedicated Engineers, Managers, Consultants & Technicians is led by Mr. Mangesh Surve (Chemical Engineer) the Managing Director of the company who has deep knowledge & has 22 years of total experience in this field. He has been felicitated by many prestigious awards including the Japanese Government for excellence in business processes & quality standards. To become India's No. 1 Company in reducing pollution by adopting and implementing the latest technologies, to serve the world at large. Till date we have successfully commissioned 1000 + plants for over 500+ clients including TATA Motors, PEPSICO, 3M (I) Ltd, KSB Pumps Ltd, BARC, Tata Technologies, TAL Manufacturing Co., L & T, General Motors, General Electric, Godrej, Mahindra, Kirloskar, Emerson Technologies, Bridgestone, Kehein Fie, BG Shirke, Wipro, Liebherr, Bonatrans and many more. We have experience of international business with presence in Malaysia & Dubai. Containerized Plants known for their portability & plug-n-play feature exported to Bangladesh, Madagascar & Middle East. We've been instrumental in recycling well above 5000 million litres of waste water produced from various Industrial & Domestic activities. Indian Water Works Association (IWWA) - Life Organization Member. NSIC - D & B - SMERA. We are one of the few organisations in this industry who boast of our own R & D facility named AQUA Laboratories which follows ISO guidelines for water, waste water & effluent testing. 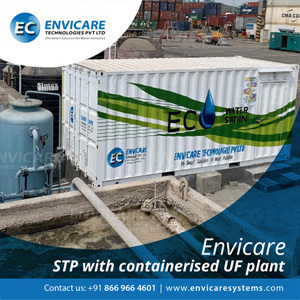 Sewage Treatment Plants (STP) - For Industry, Housing Societies, Malls, Hospitals, IT Complex etc. 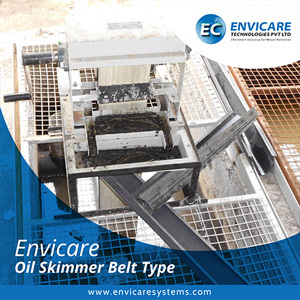 Envicare system and services Quality and customers’ satisfaction is the primary goal of our company. 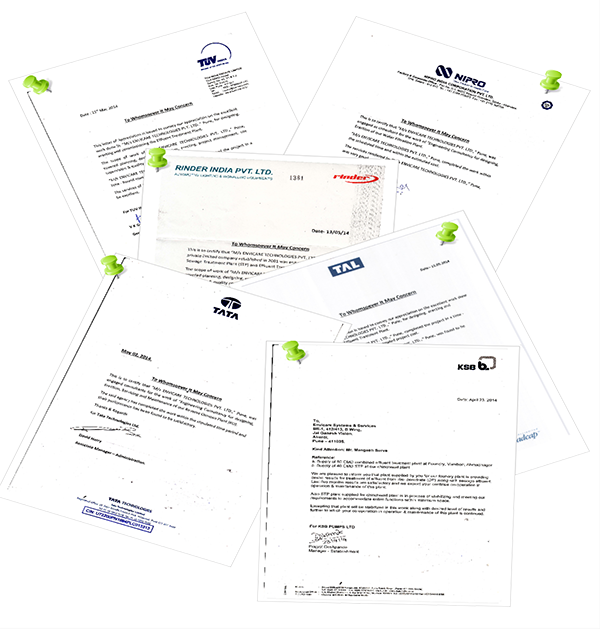 Being ISO 9001:2015 we are quality conscious organization and pay full attention to total quality management system in our industry. 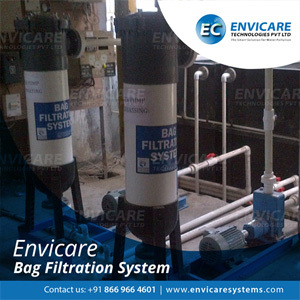 While focusing on quality, we manufacture Water and wasteWater treatment equipment's of premium quality. Products offered by us are custom designed using raw materials of premium quality sourced from trusted and registered vendors. 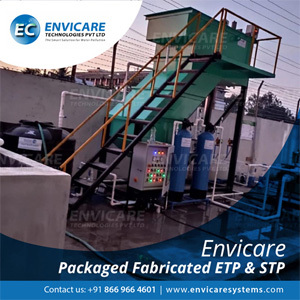 Treatment plants developed and exported by us is stringently testes for quality by efficient quality analysts working with us at each stage of product development. All quality-testing acts are performed in accordance to international quality parameters designed to meet international standards of quality. To become India's No.1 Company in reducing pollution by adopting and implementing the latest technologies, to serve the world at large. While world is looking at reducing the carbon footprint main emphasis has to be given on developing new technologies and implementing it at site. This also brings challenges to work with different-different technologies while understanding the exact need and requirement of the customer. Bringing new technologies not only going to serve the techno-economic advantages but it will also offer the new dimensions to the world of Water and wasteWater treatment. 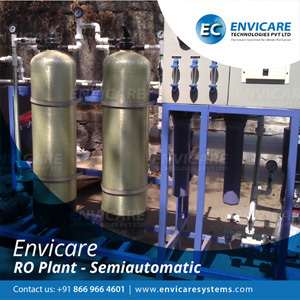 Envicare system and seervices To save environment from pollution and people from diseases by providing clean and pure Water. While doing business our company stands for the Big social cause of reducing pollution and many times take participation in awareness campaign, tree plantation, plastic pollution control, Rotary social meets and many more such things to save our mother Earth from pollution. Our mission has become the driving force to do something Larger than Life. We have understanding that our core values are nothing but the foundation of our organization and we mean to keep them intact during transformation of our organization. We are the core team of 30 no of team players comprises of Project Engineers, Purchase Engineers, Design Engineers with latest design software, Proposal Engineers, Accountant, Project Site Technicians along with the backup supports of Fabricators, System Integrators, Consultants, Design Experts, and Site Supervisors along with availability of all tools, tackles and required infrastructure enables us to execute the job at unmatched speed, quality and reliability. 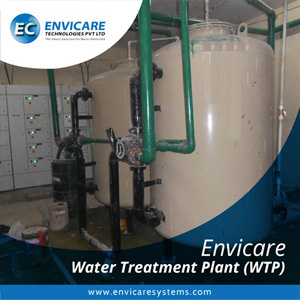 As described earlier our team is very well trained and equipped to handle the National andInternational clients like TATA (Indian), 3M (American), Kehein Fie (Japanese), KSB Pumps (German) We have got experience to carry the Erection and Commissioning of WTP and WWTP in any parts of India and world. Our products are backed-up with service by our own service team and some time by suppliers expert technicians. These people have superb experience in trouble shooting and solving all types of challenges in the plants. Each member of our sales & service team has undergone comprehensive product training and is constantly updated on introduction of new products to meet customers demand in shorter time. Our dedicated service department shall keep the track record of the plant and time to time alert the clients. Also we are providing along with self-help Operational and maintenance manual to understand the Challenge area and can take innediate actions. Now days we are coming with Remote Monitoring Systems (RMS), which is, internet based programmed system which keep total operational records of the plants and inform the client to take care on periodic basis. All plant related data can be easily accessed at your figure tips. We take Annual Maintenance Contracts (A.M.C.) 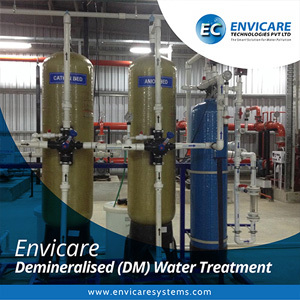 of all kind of Water treatment plants, which includes operational contract by keeping operator, periodical expert visits and preventive maintenance of the plant. We have our own ISO 9001 : 2015 - R&D Laboratory Facility in Pune, India - namely Aqua Laboratories. Laboratory work help us to understand the contents of Water and waste Water in terms of impurities and subsequently which help us to carry out the appropriate treatment to decide the right methodology for treatment and techno-commercial feasibility of Water. At proposal level only we insist in carrying out the treatability studies ( Studies which determine selection of proper treatment scheme ) based on the nature of wasteWater. Along with working for wasteWater analysis we are offering the services of checking potability of Water for drinking aspect to help the society. These services also offer us the great insight to understand the operational issues of any Water and waste Water treatment plants activities. BANK NAME : Kotak Mahindra Bank.